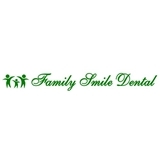 Family Smile Dental (Brooklyn) - Book Appointment Online! Welcome to Family Smile Dental. Our office offers a caring and nurturing environment for both children and adults. We are dedicated to providing the highest quality service, second to none, for our patients and their families. We are leaders in all levels of innovation for cosmetic and restorative dentistry in New York metro area. Our goal was to offer only the finest in amenities and the newest in high-technology instruments, making your visits more efficient and comfortable. You found the right place for your dental needs. Excellent doctor and very friendly staff! I love this office. Even my six-year-old is not afraid to go to the dentist here.